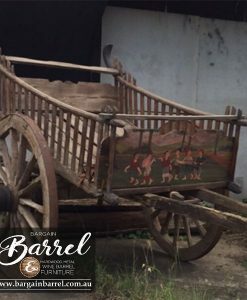 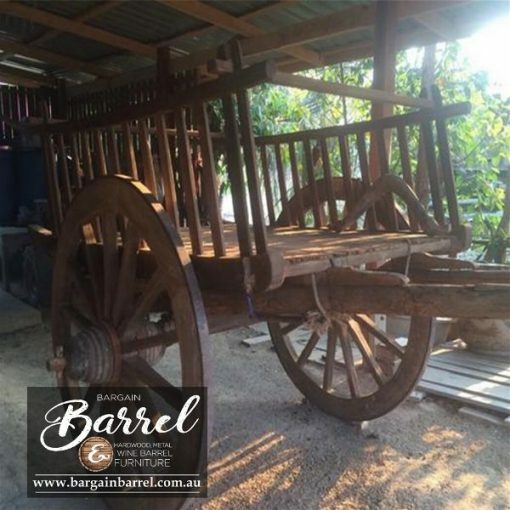 Our authentic Horse Drawn Carts are extremely unique and rare. 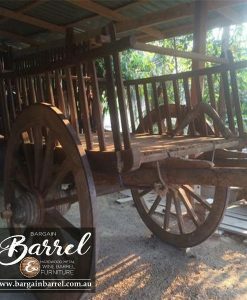 Approximately 50 to 100 years old with all the historical charm. 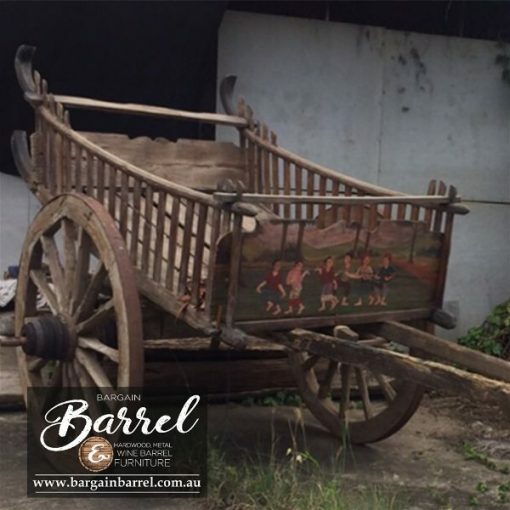 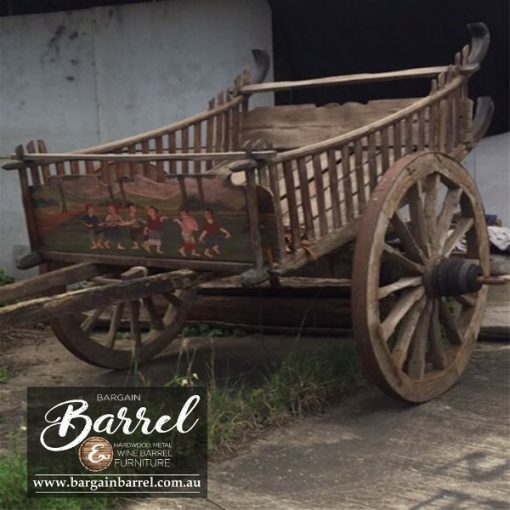 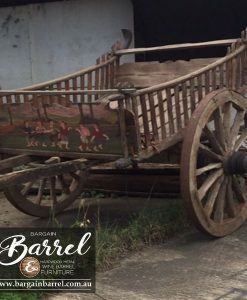 Solid hardwood framed carriage with authentic Wagon Wheels, make our Horse Drawn Carts reusable in a showcase capacity. 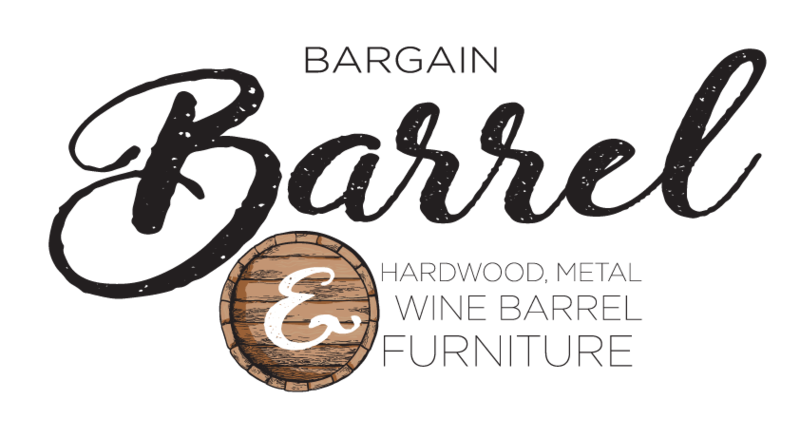 Due to a minimal supply valued customers may be placed on a waiting list. Please find time to view our authentic Wagon Wheels and Drawn Carts (Small).